I was very chuffed to be asked to review this book. It’s a delightful picture book that entranced both my four year old son and eighteen month old toddler. Abi Burlingham has Ruby tell the story of how her dog, Grub is going to be a dad. It’s easy to join in with her excitement through the build up and birth and counting each puppy as it comes out. I really liked though that there was a slightly different angle in that the story focused more on Grub’s reaction to the puppies coming along and I think it will encourage children’s developing empathy. Emily in particular was very taken with Grub’s Pups and it’s easy to understand why. It’s a lovely story told in an engaging style and I have to say as well, the illustrations are really sweet and gently humourous. I’ll definitely be getting the first two books, Ruby and Grub and Grub in Love to catch up on Grub’s exploits! 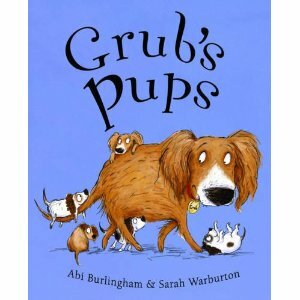 Grub’s Pups is published by Piccadilly Press, and you can buy a copy of Grub’s Pups from here. Have a look at Abi Burlingham’s website or catch her on twitter; she’s a lovely lady to talk to and deserves much success with her books. Today sees the last of my little run of blog tour guests, Catherine Ryan Howard, talking about her latest adventure self-publishing a novel Results Not Typical. Thanks for stopping by My Little Notepad, Catherine! Can you give us a rundown of your story so far? I self-published a travel memoir in March 2010 that had been rejected all over town for having no market. 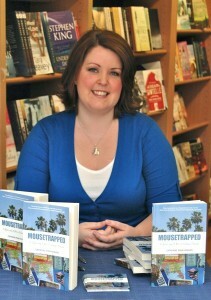 I didn’t really know what I was doing but through trial, error and Google I figured it out and eventually sold a few thousand copies of Mousetrapped. Self-publishing was supposed to be just what I did to keep me in coffee while I wrote a novel that I hoped would get me traditionally published, but after I got some sales I decided to concentrate on it a bit more than that. So since then I’ve also self-published a “How To” book (Self-Printed), another travel memoir (Backpacked) and now a novel, Results Not Typical. You’ve always said you would absolutely not self-publish a novel. Do you find your words coming back to haunt you now?! Why the change of heart? Um, yes, definitely! I’ve learned my lesson now and it’s shut the hell up about what you’re “never” going to do… I changed my mind because originally, I thought that while non-fiction could be good but get rejected on the strength – or weakness, rather – of it’s potential market, surely a novel would get published if it was good enough. Therefore if it wasn’t good enough, it wouldn’t, and it should probably stay in a drawer. But after submitting Results – a corporate satire/chick lit affair – and getting great feedback about the writing, etc. but being told yet again that it wasn’t what was selling in the market right now I thought, well, my other books are selling so why not self-publish this too? It’s also very different from the book I’m writing now that I hope to submit, so I feel as if I may as well. It remains to be seen whether or not it was a good decision! 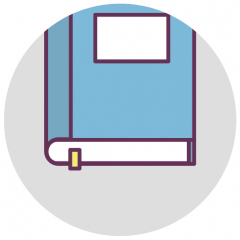 Do you find writing a book is becoming progressively easier, since you’ve done four now? Not a chance. I think it gets slightly worse. Writing Results took three drafts and the best part of a year – of full-time writing. When I think back to the first draft and how it bears absolutely no resemblance to the finished product, I feel a little bit sick. You think to yourself, how can I possibly do all that again? So um, no, sorry! What marketing advice can you give someone who has self-published a novel, and how is that different, if at all, from marketing a non-fiction book? I think marketing a novel is much harder. With Mousetrapped, I had a few calling cards I could use. The book featured Walt Disney World, NASA, living abroad, etc. so right from the start I could target people who liked those things. A novel presents an entirely different set of challenges, which I’m still trying to work out! I think the best thing to do is just let as many people know about it as possible – hence the blog tour – and then make sure you have a good cover (which I do, thanks to your talented cover designer husband), an enticing product description/blurb and a convincing price. After that, you’d just better hope luck comes around. Top hint for a would-be self-published novelist? Wait. That’s my number one tip. It took six months for Mousetrapped’s sales to go anywhere, and a full year for them to take off. I’ve sold nearly 9,000 copies but the first month I think I sold 60 or something, and most of them were to people I knew. You have to keep plugging away at your promotion, and have some patience. At the very least, wait a year. Taking some time off self-publishing to work on a novel that I hope a publisher will like. Wish me luck! 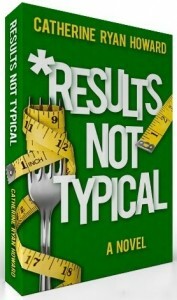 If you visit http://www.goodreads.com/giveaway/show/14791-results-not-typical you can enter a giveaway to win one of five paperback copies of Results Not Typical. Open for entries from September 30th-October 31st. Open to all countries. If you are looking for something to read that is fun, well-researched and will have you shouting out at regular intervals “Oh my goodness, YES I remember that!” I can recommend nothing more highly than Steve Stack’s new book, 21st Century Dodos. I was lucky enough to read it recently and loved it so much I promptly followed @dodoflip (the twitter account which works VERY well with the iPad – more of which in the book – and gives extra shots of reminiscence) and joined in the conversation as well as telling all my friends about it. But since I’m also lucky enough to be hosting Steve on his blog tour for the book, I’ll hand over to him! Hello. The lovely Rebecca has invited me on to her blog today to tell you all about my new book, 21st Century Dodos. It is a collection of short, hopefully humorous, pieces about inanimate objects that we all grew up with that are now in danger of extinction. The perfect stocking filler for anyone over 30. Want to know more? Well here is my son, Ethan, reading two entries from the book about Marathon bars and Opal Fruits. Thanks so much, Steve! Now, what are you waiting for you? Off you go and buy it, from here! 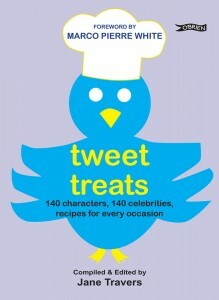 Author BeccaPosted on 12 October, 2011 5 March, 2016 Categories Beautiful BooksLeave a comment on Tweet Treats!